iBook Store Archives - Learn to speed read in 2 day course with the top Speed Reading experts in the UK. Speed Reading courses in London, UK. Speed Reading strategies to increase reading speed, comprehension and memory. In-house speed reading courses in the UK. Amazon Kindle tried to do it and Apple just did it! Apple revolutionised listening to music and now they’ve revolutionised ebook reading with the iPad via iBook Store. Five big partners… Penguin, Harper Collins, Macmillion, Simon & Shuster, Hachette Book Group… and more will sell their ebooks via iBook Store to be read on the iPad. “It has a bookshelf. In addition there’s a button which is the store — we’ve created the new iBook Store. You can download right onto your iPad.” The store is very similar to iTunes. Same modal pop-overs. Pricing doesn’t look too bad. The book page display is nice. You can turn pages slowly or fast for speed reading. “You can change the font… whatever you want. 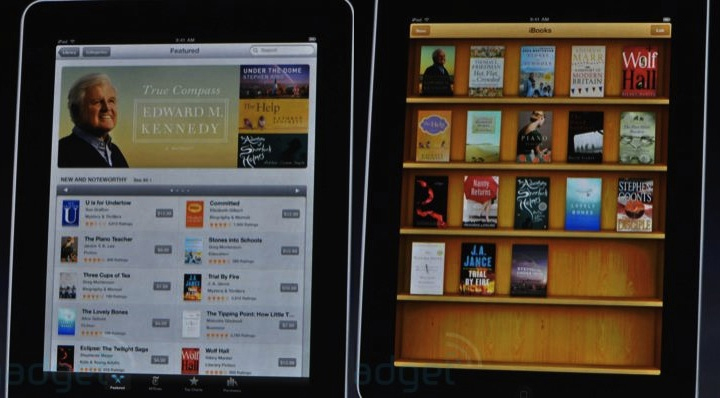 And that is iBooks.” “So iBooks again, a great reader, a great online bookstore. All in one really great app. We use the ePub format. We’re very excited about this.” said Steve Jobs at the launch of the iPad and iBooks Store today in San Francisco (6pm London time). Read how mobile tablet devices will change the world of computing. Slice (free) Penguin’s wetellstories.co.uk plays with narrative forms and is a pointer to the sort of books apps to come. slice is made up of a blog by a young girl (in reality, novelist Toby Litt), with councurrent entries by her parents as well as messages on Twitter. Be sure to click on them in the right order. Fighting Fantasy (£1.79 each) These role-playing books, first published in 1982, are being turned into iPhone apps. The gameplay is unaltered: construct a character by rolling dice, then pick your way through a quest, turn by turn. Search for Fighting Fantasy in the iTunes App Store. Dr Seuss’ ABC (£1.79) The 1963 chldren’s primer is also an iPhone app. Listen to the narration as the text light up. The American accent grates, however – especially when you come to the letter ‘zee’.